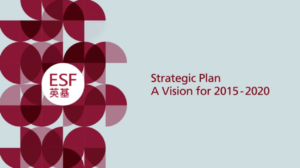 The English Schools Foundation (ESF) is launching the new Strategic Plan: A vision for 2015-2020. To achieve ESF’s vision – “for every student to be the best that they can be”, four strategic objectives and twelve strategic goals have been developed under the four key pillars of Education, Organisation, Communications and Financial Sustainability. 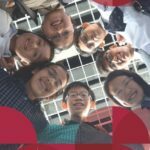 In face of global innovation in education and the changing educational landscape in Hong Kong, ESF aims to be a key driver of best practice in teaching and learning by creating joyful learning environments and having exceptional teachers who bring out the best in every child through a personalised approach to learning. Please click on the image below to view the ESF Strategic Plan 2015-2020 brochure, poster and the video.